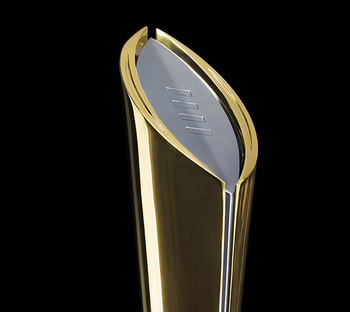 You want to know which teams will make the college football playoff. My numbers can help. Analytics can tell you the likelihood that a team wins a game. At The Power Rank, this starts with team rankings that come from combining rankings based on margin of victory as well as other calculations based on yards per play. Members have access to these ensemble rankings. The rankings give each team a rating, or an expected margin of victory against an average FBS team. The difference in the ratings of two teams implies a predicted point spread in a game (3 points added for the home team). This point spread translates into a win probability for both teams in a game. To calculate the likelihood that each team makes the playoff, I take the most current committee rankings (or AP poll early in the season) and simulate the rest of the season many times. Each simulation starts with the next week of games and flips a coin for each game according to the calculated win probability. For example, if Alabama has a 75% chance to beat Mississippi State, this coin will favor Alabama in 3 out of every 4 simulations. Based on these wins and losses, the simulation adjusts the committee rankings. If a team loses, they drop behind anywhere from one to twelve teams. The exact drop is determined by another coin flip. Teams that win have a small probability to jump ahead of a team but otherwise keep their spot in the rankings. After the regular season, the simulation determines the two teams that will play in each conference championship game. These games get added to the set of games for the last week of the season. The simulation makes adjustments for conference championships, an important criteria for the committee. Over the past years, we’ve seen the committee bump a team that wins its championship game ahead of the next team. For example, consider Florida State in 2014 or Michigan State in 2015. The simulation makes the same move with high probability. In addition, the simulation acknowledges the small chance that a team outside a Power 5 conference makes the playoff. (This doesn’t apply to Notre Dame.) These teams can still make the playoff, but it’s unlikely unless the team goes undefeated. The top 4 teams at the end of the season make the playoff. After 10,000 simulations, a team’s playoff probability is the fraction of simulations in which it ends in the top four. If you’re interested in more information on the game predictions that drive this simulation, I offer a sample of these member predictions in my free email newsletter.